He took charge of the family boot making business at 3 and 5 Churchgate, Bolton on the death of his father, Robert Harwood Beswick, in 1903. Represented Heaton Ward February 1921- December 1935. Borough Magistrate 1930. Alderman December 1935. He was Chairman of the War Emergency Committee for his Mayoral year and Chairman of the Finance Committee after his Mayoralty. He was Chairman of the Local Fuel Advisory Committee. 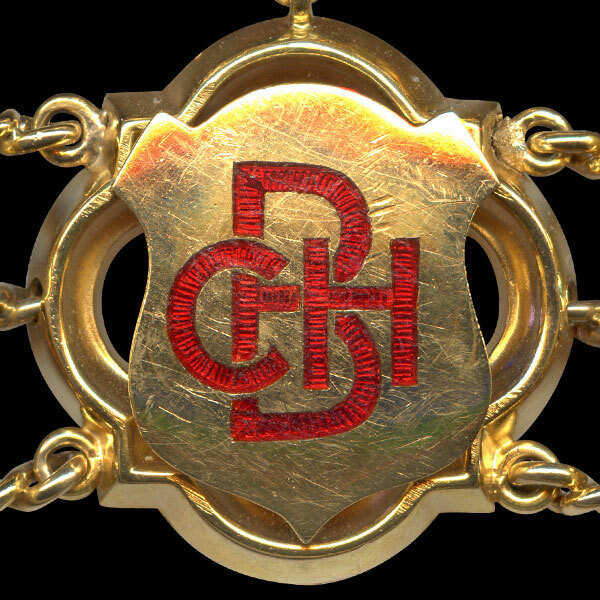 He was a founder member of Bolton Chamber of Trade and was President of Bolton Combined Traders Association (as it was then named) in 1911 and was also a member of the Chambers Executive Committee. 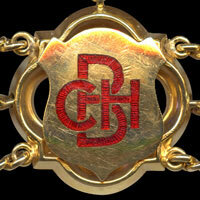 He was a member of the Licensing Committee and a magistrate on the Juvenile Court Panel. He was a member of the Bolton Local Committee of the Royal Albert Institution of Lancaster and the Council's Representative as a Governor of the Henry Mather Foundation. He was the Honorary Secretary of the Bolton Liberal Association for 10 years. Congregationalist. He attended St George's Congregational Church and was a Superintendent of the Sunday School and a Deacon. His wife, Mary (Ella), was Mayoress. 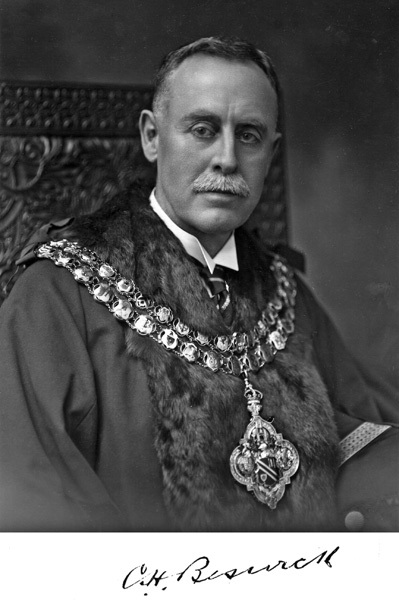 Formal portrait of Charles Harold Beswick as Mayor of Bolton. 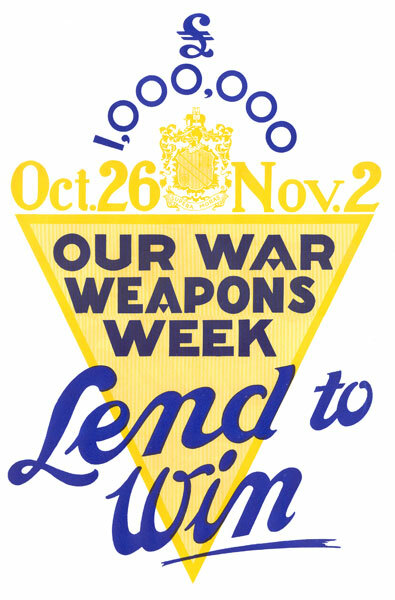 Bolton War Weapons Week poster 26 October - 2 November 1940. 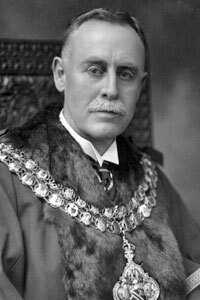 Charles Harold Beswick's link on the Mayor of Bolton's Chain of Office.